Tagremin (generic name: Co-trimoxazole; brand names include: Septra / Ciplin / Septrin) is a combination of two antibiotics (trimethoprim and sulfamethoxazole) used to treat a wide variety of bacterial infections. Tagremin is effective in a variety of upper and lower respiratory tract infections, renal and urinary tract infections, gastrointestinal tract infections, skin and wound infections, septicaemias and other infections caused by sensitive organisms. Each Tagremin tablet contains 80 mg trimethoprim and 400 mg sulfamethoxazole. 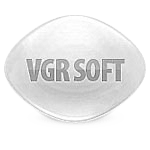 Each Tagremin DS (double strength) tablet contains 160 mg trimethoprim and 800 mg sulfamethoxazole. Adults: The usual adult dosage in the treatment of urinary tract infections is 1 Tagremin DS (double strength) tablet or 2 Tagremin tablets every 12 hours for 10 to 14 days. 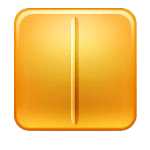 An identical daily dosage is used for 5 days in the treatment of shigellosis. Tagremin is contraindicated in pediatric patients less than 2 months of age. The standard treatment of brucellar spondylitis with a combination of two antibiotics for 6-12 weeks is associated with high rates of treatment failure and relapse. The present study aimed to assess the safety and efficacy of a treatment strategy based on the prolonged administration of a triple combination of suitable antibiotics. Eighteen patients with brucellar spondylitis were treated with a combination of at least three suitable antibiotics (doxycycline, rifampin, plus intramuscular streptomycin or cotrimoxazole or ciprofloxacin) until the completion of at least 6 months of treatment, when clinical, radiological and serology re-evaluation was performed. If necessary, the treatment was continued with additional 6-month cycles, until resolution or significant improvement of clinical and radiological findings, or for a maximum of 18 months. At presentation, the median age was 66 years (range, 42-85 years) with male predominance. The median duration of therapy was 48 weeks (range 24-72 weeks). Treatment was discontinued early because of side-effects in only one patient. Surgical intervention was required for three patients. At the end of treatment all patients had a complete response. After completion of treatment, all patients were followed up with regular visits. During the follow-up period (duration 1-96 months, median 36.5 months), no relapses were observed. In conclusion, prolonged (at least 6 months) administration of a triple combination of suitable antibiotics appears to be an effective treatment for brucellar spondylitis. Nocardia is responsible for infection in both normal and immunocompromised hosts. Organ transplant recipients are increasingly recognized as a sub-group of immunocompromised patients in whom nocardia is an important pathogen. The frequency of nocardia in organ transplant recipients varies between 0.7% and 3%. Nocardia infection has largely been reported in heart, kidney and liver transplant recipients. Presentations of nocardia in lung transplant recipients have been restricted primarily to case reports. The present study reviews the clinical and epidemiologic characteristics of nocardia infection in lung transplant recipients at our institution. We report the clinical and immunological features of a patient with IRAK-4 deficiency who has a history of systemic shigellosis in addition to other infections. Migratory polyarthritis was observed in a child with Plesiomonas shigelloides infection of the gastrointestinal tract. All symptoms and signs of arthritis resolved following successful treatment of infection with the appropriate antibiotic. Plesiomonas shigelloides should be added to the list of microbial agents associated with polyarthritis. To evaluate the effectiveness of a nearly "hard stop" CPOE prescribing alert intended to reduce concomitant orders for warfarin and trimethoprim-sulfamethoxazole, a randomized clinical trial was conducted at 2 academic medical centers in Philadelphia, Pennsylvania. A total of 1981 clinicians were assigned to either an intervention group receiving a nearly hard stop alert or a control group receiving the standard practice. The study duration was August 9, 2006, through February 13, 2007. The overall incidence of treatment-associated ADRs was high (40.0%) in these patients with ocular toxoplasmosis. The most frequently occurring ADRs were rash and gastrointestinal complaints. elt ⁺isolates and ETEC strains harbouring genes encoding CFA/IV and CS/14 were the most common ETEC found in Brazilian Northeast. It is important to know the taxonomy, clinical features, diagnosis and precise species identification because of the multitude of pathogenic species involved and the different antibiotic susceptibility patterns. The authors review sulfonamides, aminoglycosides, penicillin derivatives, tetracyclines, glycylcyclines, oxazolidinones, carbapenems and the association of other potential drugs, the therapeutic effectiveness of traditional antimicrobials and new monotherapy and combined treatment alternatives. New oxazolidinones and the benzothiazinones are compounds that have been found effective in vitro and in experimental models. Adherence to EAU guidelines on antibiotic prophylaxis reduced antibiotic usage without increasing post-operative infection rate and lowered the prevalence of resistant uropathogens. Nocardia brasiliensis may cause a lymphocutaneous infection of the face and must be considered in the differential diagnosis of preseptal cellulitis. Our study was Norfloxacin 400 Mg Cost carried out between November 2000 and January 2002 at the Infectious Diseases Clinic, Istanbul Haydarpasa Numune Hospital, Istanbul, Turkey. We compared the virulence factors (fimbrial adhesion, hemolysin production, motility property) of 50 strains of Escherichia coli (E. coli) isolated from urine with the same properties of 25 strains of E. coli isolated from stool specimens of healthy individuals. In addition, we detected the virulence factors of UPEC strains using a microbiological and biochemical methods and by using disk diffusion method, we were able to investigate the sensitivity of the strains to the antimicrobials. During the course of appropriate treatment, patients with tuberculosis occasionally have unusual paradoxical reactions, with transient worsening of lesions or the development of new lesions. A 23-y-old housewife presented with abdominal tuberculosis. She was treated with anti-tuberculous agents to which the micro-organisms were susceptible. During therapy, there was an expansion of her abdominal lesions and her symptoms worsened. However, with the addition of steroids and the continuation of the same anti-tuberculous agents the patient eventually recovered completely. We emphasize that the worsening of tuberculous lesions may occur during chemotherapy and does not necessarily indicate treatment failure. This phenomenon may be Megapen 250 Mg immunologically based. An infant developed anuric renal failure within 18 hours of starting therapy Metrolag Dosage with Co-trimoxazole for otitis media. There was no prior exposure to Co-trimoxazole, sulfonamides or trimethoprim. A renal biopsy revealed acute interstitial nephritis with eosinophilic infiltration (AIN). The lymphocyte blast transformation test revealed increased proliferation of the patient's lymphocytes on exposure to Co-trimoxazole (Bactrim). Both parents have clinically demonstrated hypersensitivity to sulfonamides. The extremely short latent period between ingestion of the offending drug and the onset of AIN in the absence of prior exposure to the drug has been reported previously. It suggests that drug induced AIN may develop more rapidly in patients with a strong genetic hypersensitivity to the drug. We report a case of Wegener's granulomatosis (WG), localised to the upper aerodigestive tract, which presented as an unusual form of hyperplastic gingivitis in a 36- Flagyl Drug Study year-old female. The clinical, serological and histopathological findings are described. The resemblance of the affected gums to over-ripe strawberries is emphasised, in order to draw attention to this characteristic oral manifestation of a rare and potentially life-threatening condition. The response to co-trimoxazole as sole therapy is noted. Escherichia coli clonal group A (CGA) was first reported in 2001 as an emerging multidrug-resistant extraintestinal pathogen. Because CGA has considerable implications for public health, we examined the trends of its global distribution, clinical associations, and temporal prevalence Levozine Drug for the years 1998-2007. We characterized 2,210 E. coli extraintestinal clinical isolates from 32 centers on 6 continents by CGA status for comparison with trimethoprim/sulfamethoxazole (TMP/SMZ) phenotype, specimen type, inpatient/outpatient source, and adult/child host; we adjusted for clustering by center. CGA prevalence varied greatly by center and continent, was strongly associated with TMP/SMZ resistance but not with other epidemiologic variables, and exhibited no temporal prevalence trend. Our findings indicate that CGA is a prominent, primarily TMP/SMZ-resistant extraintestinal pathogen concentrated within the Western world, with considerable pathogenic versatility. The stable prevalence of CGA over time suggests full emergence by the late 1990s, followed by variable endemicity worldwide as an antimicrobial drug-resistant public health threat. A previously healthy 15-year-old girl fell ill with febrile gastroenteritis; Plesiomonas shigelloides was isolated from the blood 6 h after she had Zindaclin 1 Gel Kosten received one tablet of trimethoprim-sulfadiazine on the third day of symptoms. She recovered uneventfully. P. shigelloides may be isolated from the blood in immunocompetent patients with mild, uncomplicated gastroenteritis. Urinary tract infections (UTIs) are common bacterial infections, particularly in women. Antimicrobial therapy is seldom indicated for asymptomatic infection, but antimicrobial therapy is usually indicated for amelioration of symptoms. Management of acute uncomplicated UTI (cystitis) is generally straightforward, with a predictable distribution of uropathogens isolated. First-line treatment of acute uncomplicated UTI has traditionally involved a 3-day regimen of trimethoprim-sulfamethoxazole (TMP-SMX) or TMP alone for patients with sulfa allergies. Increasing resistance among community-acquired Escherichia coli to TMP-SMX worldwide has led to a reassessment of the most appropriate empiric therapy for these infections. Alternative first-line agents include the fluoroquinolones, nitrofurantoin, and fosfomycin. Factors to be considered in the selection of appropriate antimicrobial therapy include pharmacokinetics, spectrum of activity of the antimicrobial agent, resistance prevalence for the community, potential for adverse effects, and duration of therapy. Ideal antimicrobial agents for UTI management have primary excretion routes Cefixime 400 Mg Orally through the urinary tract to achieve high urinary drug levels. In addition, there are special considerations in the management of UTI among selected populations, including postmenopausal and pregnant women, and for women with frequent recurrent UTIs. Cyclospora cayetanensis is a coccidian protozoa that was newly recognized in 1979 in Papua New Guinea. We report the case of Suprax Brand Name a 42-year-old French man who had visited Vietnam and presented with fever and watery diarrhea that had lasted for more than 2 weeks. The patient was diagnosed with C. cayetanensis infection by examination of a stool smear using UV fluorescence microscopy. Based on this rare case, we recommend that Cyclospora infection might be considered in the differential diagnosis of traveler's diarrhea in immunocompetent patients. A combination of trimethoprim and sulfamethoxazole was effective in the prevention and treatment of Pneumocystis carinii pneumonitis in cortisonetreated rats. Although all of 15 untreated rats died with P. carinii pneumonitis, none of 15 given trimethoprim-sulfamethoxazole prophylactically acquired the infection. After P. carinii pneumonitis was established, 9 of 14 rats recovered after treatment with trimethoprim-sulfamethoxazole compared with only 2 of 14 treated with pentamidine isethionate. Rifampin and clindamycin, separately or in combination with pentamidine, were ineffective in the prevention and treatment of P. carinii infection. Seventy-five CIP recipients and 71 TMS recipients were assessable for efficacy. No difference was noted between the two groups in occurrence of fever during neutropenia, time to onset of first fever, or overall infection rates. Ten bacteremias occurred in CIP recipients versus six in TMS recipients (P = .43). Ten episodes of Clostridium difficile enterocolitis occurred in TMS recipients versus no episodes in CIP recipients (P = .001). 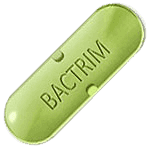 Four infections caused by gram-negative bacilli, including one bacteremia, occurred in TMS recipients versus none in CIP recipients (P = .06). No differences were noted in the incidence of rash or organ toxicity. TMS recipients had longer durations of granulocytopenia at AGC levels < or = to 500/microL and < or = to 100/microL than did CIP recipients (P = .08 for both comparisons). Mean peak and trough serum levels of CIP decreased significantly between weeks 1 and 2 of prophylaxis. Isosporiasis in France occurs mostly in patients emigrating from sub-Saharan Africa and can induce severe diarrhoea. Relapse is common despite cotrimoxazole maintenance therapy.